Head, neck and facial pain is one of the most complicated and confusing areas in medicine today. There are so many possible real causes that it challenging to determine the correct cure. Some of these include; infections of the throat, sinuses, eyes, teeth, or gums, cysts of the wisdom teeth, tumors of the head, arthritis of the jaw joints, fibromyalgia, trigeminal neuralgia, bells palsy, multiple sclerosis, temporal arteritis, glossopharyngeal neuralgia, traumatic injury to head or neck, and last but not least important Temporomandibular or TMJ (jaw joint) disorders. Unfortunately, there are so many medical specialists with limited expertise outside their field of specialization. Many patients run the maze between family doctors, ENT specialists, neurologists, orthopedic doctors, oral surgeons, general dentists, physical therapists, chiropractors, naturopathic doctors, and psychologists. Diagnosing jaw joint problems is simply not included in the curriculum of most medical and dental schools. Fortunately, there are some dentists, like Dr. Ross, who have received advanced training and can readily diagnose and treat the problem. The sound can break the silence of the night, frighten small children and startle sleeping adults. The noise may be disturbing to the spouse, roommate or witness, but it is even more harmful to the person performing the grinding. Often the individual is not aware of their grinding. For many years it was believed that grinding was a tension symptom—that it stemmed from emotional or psychological stress. Today, dental authorities agree that emotional stress maybe a contributory factor but the real cause is an improper fit between the upper and lower teeth and the jaw joints. Most people grind their teeth in an unconscious effort to correct tooth shape or position irregularities or a improper fit of opposing teeth when they come together, or an imbalance of the jaw joints as the jaw moves. 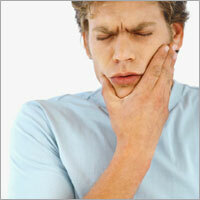 This is also the major cause of TMJ or jaw joint pain and discomfort. You may recognize signs of grinding or clenching as the top surfaces of teeth gradually wear down to flat surfaces and front teeth appear shorter with age. Worse, grinding can prematurely crack teeth, cause them to shift, and weaken the bony foundation that precedes gum disease and tooth loose. 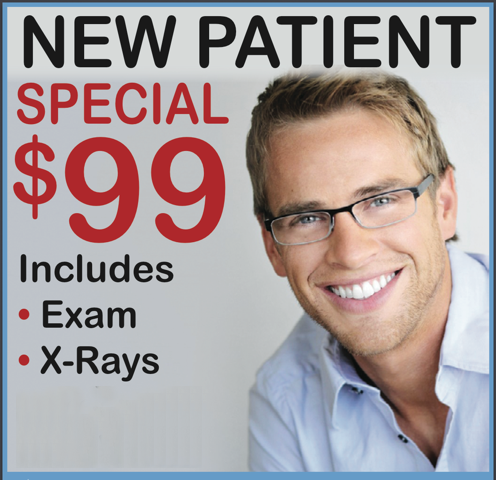 Fortunately, Dr. Ross has the expertise and technology to help you with this serious problem.